Home » Articles » 126. What If You Freeze Up Too Quickly? 126. What If You Freeze Up Too Quickly? You get smacked. Figuratively. Someone says something to you that hits you, right in your face. It hurts. Not really physically, but in your heart. Ouch! And… you freeze up. You don’t say anything back to them, paralyzed. Completely shut down. Like a rabbit caught in the front lights of a car. Later, when you’re no longer in the middle of the situation, the feelings come. Anger, grief and hurt. And only then can you think of what you would have wanted to say. But, of course, it’s too late. Wild animals are very familiar with this phenomenon. When threatened by danger, they remain as still as possible. With one single movement, they could reveal themselves, with death a possible outcome. It’s a wonderful mechanism. 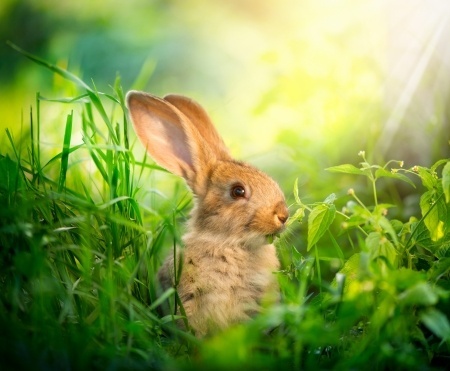 It enables an animal to survive a situation. Nature has taken care of this beautifully! And… we people also have this mechanism. Are you familiar with the fight/flight mechanism? It causes you to either fight or flee in the face of danger. You see this with people who immediately defend themselves (fight) or people who retreat (flee). And a third mechanism is the “freeze mechanism”. Sit still, don’t move or else…! That is the phenomenon when prey feels it is in danger. And with people who literally don’t dare make another move or speak another word. The “freeze” reaction is completely normal! That you “freeze up”, is completely normal. It’s a natural phenomenon that every human being is familiar with. It enables you to deal with a hard blow, by first becoming “numb” (devoid of feeling), to deny what happened and then let reality slowly sink in, bit by bit. In situations in which you receive bad news, for example. Someone has died. Or a doctor gives you a bad diagnosis. Something really disturbs you. Your “freeze” reaction disables you from thinking, you are at a loss for words, and you sometimes almost can’t breathe anymore. And…. that is completely normal and exactly nature’s design. How often do you freeze up? It’s different when you are constantly freezing up, if you are already disabled by the slightest provocation. Upset. You hear a comment and it feels like you’ve received a death threat. You don’t know what to say any more. Your tummy trembles, your nerves are caught in your throat. It overwhelms you. Or, you’ve been criticized about a plan of yours and immediately drop it. You give it up before you’ve even got started. These are “freeze” reactions that aren’t appropriate in the situation; they are exaggerated. They are caused by experiences you had as a child. Take a good look afterward if your feeling of paralysis, of being speechless, of not being able to move any more, matches what happened. How bad is what was said? Were you really threatened, physically, with a knife? Or did it just feel that way? And how valid was the criticism? Did the other person really have an understanding of your plans? Did the other person understand what you intended? If you take a sober look at it, you’ll see that the reaction was too strong for the situation. Someone just said a few words. Sounds came out of someone’s mouth. You weren’t literally attacked, not physically. There was no real danger. Take a good look at it, using common sense. Most people are familiar with the “freeze” reaction from school. One pupil got into trouble, was scolded and warned. When the teacher really got tired of it, he or she lashed out furiously at that classmate. If you opened your mouth at that moment, there’s a large chance that you would also bear the brunt of that teacher’s anger. And you didn’t want that, so you kept your mouth shut and sat still, as still as you could so as not to be noticed. The mechanism of peer pressure: group freezing. Do you remember a situation like this? 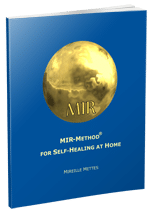 The MIR-Method consists of 9 steps, each of which contributes to your self-healing in its own manner. Some steps are more directed at physical healing, others are more focused on emotional healing. In step 3: ‘Detach father’. ‘Detach mother’, you help yourself by removing the messages you received from your father or mother (or other men or women) from your system. It removes the threat you felt from an angry father or mother. It causes you to react less strongly in the “freeze” reaction and to remain calmer during a conversation. Criticism can be handled better because “they’re just words, nothing more”. With step 7: Fulfill basic needs, your needs for security and protection are supplemented. This causes the “freeze” reaction to be less quickly activated. Step 7 works step by step to supplement the shortage of security and protection, through which you can now, as an adult, react with much more stability and strength to difficult situations. You can remain strong! With step 8: Optimize chakras and aura, you work on your basic chakra, which can be found at the bottom of your pelvis. This often became disturbed when people experienced threatening situations as children, such as parents having intense fights or when they were easily angered. By stroking this step, you erase the intense feeling of lack of safety out of your system and begin to feel more basic safety within and more sure ground underneath your feet. 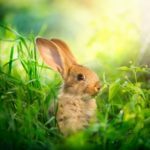 In short, the MIR-Method can help you to stand stronger and think more clearly even when things are difficult. And how about you? Have you also experienced that doing the MIR-Method has made you more resilient? That you don’t let yourself become upset or shut down as easily? I sure hope so! I’d love to hear about it from you! Please write about it below! Thank you! My wish for you is that you may stand strong as protector of yourself in every difficult situation! The MIR-Method has helped me considerably, my asthma and bronchitis have improved greatly. How wonderful to hear that! I am so happy for you! Thank you for doing the MIR-Method. And for sharing your results with us.